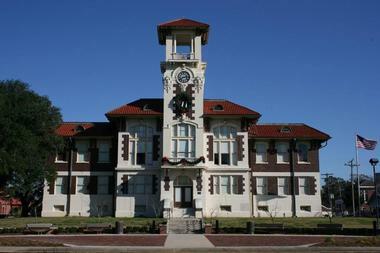 Lake Charles, Louisiana, is famous for being a powerhouse of industry and culture in the area. In a nod to the Creole influence in the state, visitors to Lake Charles can enjoy the Creole Nature Trail as well as a host of fusion food-related adventures. There are casinos for those who are feeling lucky along with a plethora of dining options. Indulge your love of the great outdoors in Lake Charles, LA by attending one of the many local festivals held throughout the year. With almost 30 acres there is something for all age groups at Prien Lake Park. If you are looking for a gentle walk then you can follow the trails all over the park with plenty of opportunities to take in the local plant and wildlife, and there are playgrounds for younger visitors to enjoy. For something a bit different there is even a water park that allows you to cool off on a hot day. 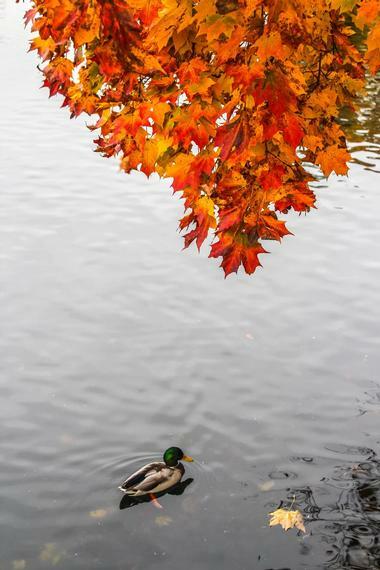 On the actual lake itself, visitors can go canoeing or boating, and there are also picnic areas dotted around the area where you can stop for a bite to eat while reveling in the serenity and stunning views all over the park. If the state of Louisiana is synonymous with anything then it must surely be Mardi Gras, the annual carnival held in the region that attracts thousands of visitors. With that in mind, there is now a Mardi Gras Museum for those who want to learn more about the history and cultural significance of the festival, and the museum provides visitors with the tools to take a self guided tour through its six rooms that take you back to the traditions of Mardi Gras. 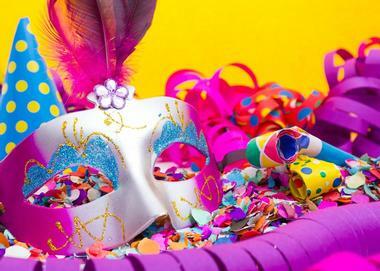 Wandering through the museum will allow you to see and admire a wide range of flamboyant costumes and even a section that explains the origins and preparation of king cake, a sweet treat eaten exclusively at Mardi Gras. Geared towards little ones looking for a fun day out, Millennium Park has a wealth of activities for children to enjoy in their rubber-coated playground that ensures younger guests can play safely. There are nature trails that run all over the park allowing visitors to explore the area, all of which lead to the glassy Lake Charles on whose shores the park rests. There is a splash park in Millennium Park with water features for visitors to frolic in, as well as tunnels, cabins, mazes, bridges, and many other playground components like traditional swing sets to keep children occupied all day long. If you are a fan of US naval history and want to support the conservation and preservation of important naval relics, then plan a visit to the USS Orleck Naval Museum. 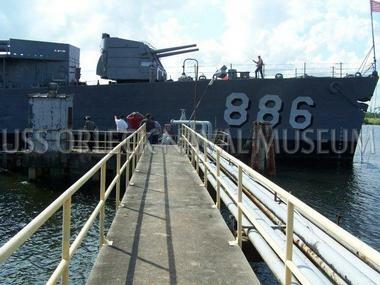 Visitors to the museum can board and tour the memorial ship that proudly served in the Second World War, Korea, and Vietnam before being retired. 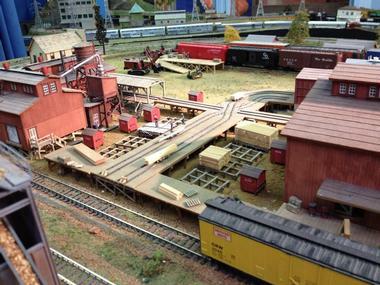 They can also visit the USS Radford Museum located inside, which features period memorabilia and exhibits that include a gallery of scale models. For something a little more hands on, there are laser tag events organized periodically throughout the year to raise money for the running and staffing of the museum. 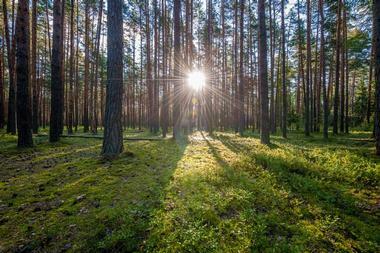 Taking its name from a former state governor who championed its creation, Sam Houston Jones State Park is modeled on the premise that the area should remain as untouched and close to its natural state as possible, and with this in mind the park has maintained a rustic and unblemished charm. Visitors can stroll along one of three trails in the park that offer both relaxing and more strenuous hiking activities, and the park’s natural state provides excellent opportunities for bird watching, which is a common pastime here, and it is said that up to 200 species of birds exist in the region. For those who want to take to the water, there are boating options on the ponds that dot the park, as well as fishing opportunities in some areas. 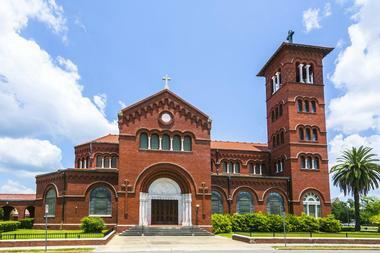 The Charpentier Historic District in Lake Charles offers visitors the chance to go on a self guided walking tour that spans over forty blocks. 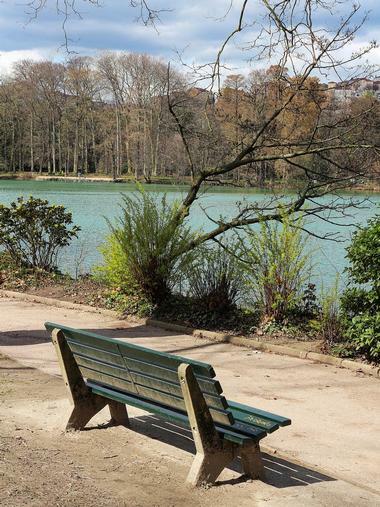 The area is well known as a place of architectural wonder and is even named after the carpenters who worked on the houses, as “charpentier” is the French word for carpenter. The houses feature eclectic styles dating from the beginning of the century, and visitors should particularly keep an eye out for little details like leaded glass, ornate finishes, and towers and spires that make the area look like something out of a fairytale. There is also an app you can download that will take you on a tour of the area with explanations in multiple languages. A long established pillar of the Lake Charles community dating back to its inception in the 1980s, the Children’s Museum has a mission to pique the interest of young visitors and spark a love of learning that will last forever. The museum extends over three floors with plenty of space for children to explore the permanent exhibitions, which have a strong emphasis on education through art, storytelling, music, and visual stimuli. Aside from that, the museum also organizes and runs special events and workshops throughout the year, including art workshops for budding young artists, and there are special guests featured such as well known chefs, members of the art community, and musicians. If you want to learn more about the history and culture of the Lake Charles area then you can’t miss a trip to the Imperia Calcasieu Museum – the staff there are passionate about educating visitors about the region. The museum has proudly run educational programs for fifty years and has different sections for visitors to explore, taking them on a historical tour that includes period artifacts from long ago all the way to the present day with examples of contemporary art from up and coming local artists. There are rotating exhibitions held throughout the year, many of which showcase modern visual arts. There are also film nights and art workshops held for visitors of all ages. 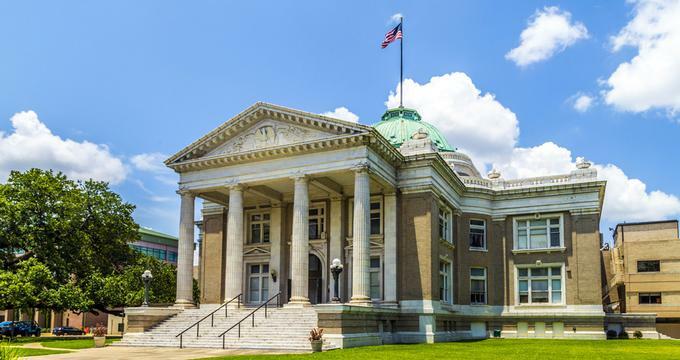 Well known in the Lake Charles area as an art gallery and cultural center promoting the arts, the 1911 Historic City Hall is a powerhouse of all things art-related, and it is a must-visit for all art lovers. The center puts on exhibitions that have included historical artifacts such as pieces from the Titanic to a painting display by Pablo Picasso to modern art by local contemporary artists. As such, the center has made a name for itself for having some of the most exciting and thought provoking exhibitions in the local area, and even the lovingly restored building is a piece of art in itself and features a clock tower and a brick courtyard. Come to the Golden Nugget Casino in Lake Charles if you are feeling lucky, and play a few hands at one of the seventy-seven gaming tables housed in the gaming establishment. If you prefer to play it safe or simply fancy a relaxing break outside, then make for the Golden Nugget Country Club for a relaxing game of golf. 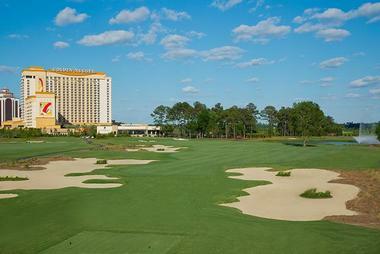 The views from the greens are spectacular and feature indigenous Louisiana plants and trees. The country club also allows you to dine in style with views over the course that are perfect for a sunset cocktail, bar snacks, or a full fine dining experience cooked by award winning chefs if you are feeling hungry. Named one of the 100 Best Golf Courses in the United States by Golf Digest in 2000, the Gray Plantation Golf Club provides a fun day out for golfers. If you are a beginner, there are friendly instructors to help show you the basics. If you are looking to play a game with friends, the Gray Plantation Golf Club can accommodate all levels and numbers of players. There is also an onsite pro shop available for you to stock up on anything you might need to improve your game. 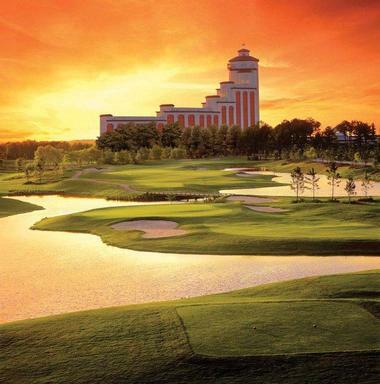 If you are looking to win big, then why not visit L’Auberge Casino Resort? As soon as you enter, you can marvel at the casino’s claim to fame, the gigantic glass dome that tops the building and features a sky-high glass ceiling. There are gaming tables and slot machines, and, if you want to have a few drinks either before or after a game, then head for the Globar for a cocktail or two. 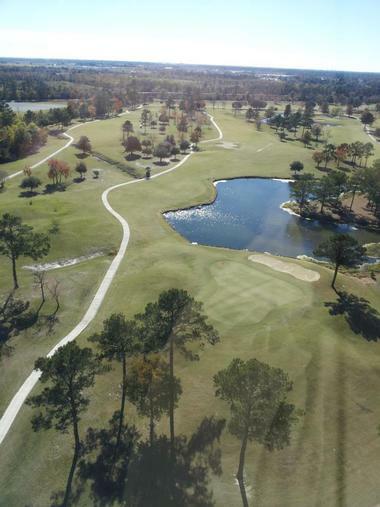 If the golf course beckons then Contraband Bayou Golf Club has you covered, and you can get in a few rounds of golf on a course designed by famous architect Tom Fazio. There are also dining, shopping, and spa and salon options available at L’Auberge Casino Resort to help you make the most of your visit. Operating since the 1970s, the Mallard Cove Golf Course has been serving keen golfers for years. Their refurbished clubhouse spans over 11,000 square feet and has all the latest amenities for guests. On the green there are water hazards as well as tees designed for all levels of ability and fitness, so there is something for all players to enjoy on a trip to Mallard Cove Golf Course, and its award winning design is reflected in the many accolades the course has collected over the years. For those with a competitive streak there are also championship games held there throughout the year. 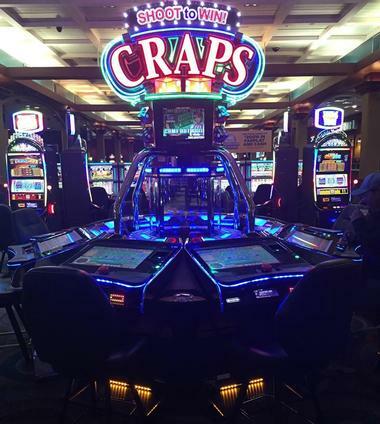 Whatever your favorite game may be, you will be sure to find it at the Isle of Capri Casino Hotel, which features upwards of forty-five gaming tables as well as gaming machines and slot machines. After playing a few hands, you can also enjoy dining venues such as a bar & grill restaurant for some steaks and seafood or sample a wider spread at a buffet. After gaming and dining you can also take in one of the live shows that feature a rotating line up of top bands. The hotel is also onsite, and there are a range of hotel packages to choose from, some of which allow access to the adjoining golf course.